A unique and contemporary hand lettered birthday card to wish a special someone the happiest of birthdays! 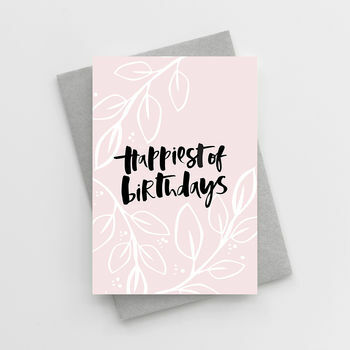 This super-pretty floral birthday card would make the perfect birthday card for a friend, sister, aunt, mum or anyone! 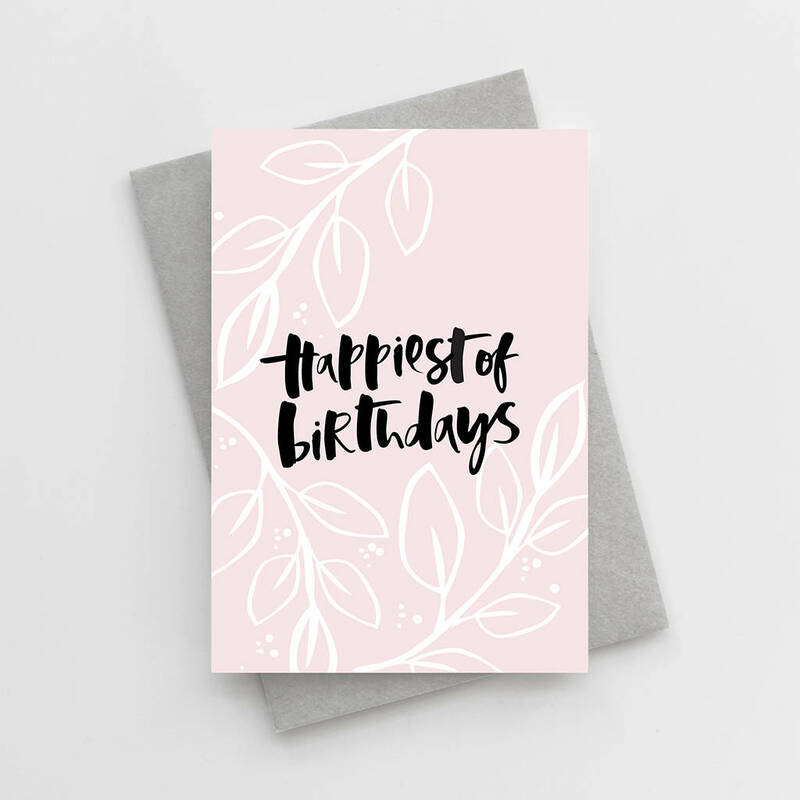 Featuring our classic, hand lettered typography, the phrase 'Happiest Of Birthdays' is written in deep black ink, layered over a soft, blush background and finished with hand illustrated blooms. 'Happiest Of Birthdays' Birthday Card is 10.5 x 14.8cm (A6) and comes with a 11.4 x 16.2cm (C6) envelope.